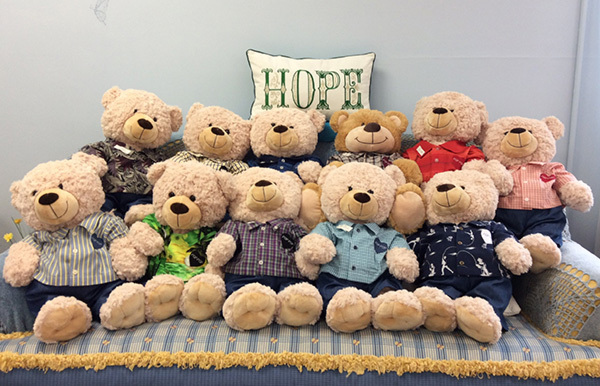 Family Teddy Bears - A service provided by H.O.P.E. Family Teddy Bears, a service that we offer at H.O.P.E. to help with grief. We have a volunteer who will use the clothes of the deceased to create outfits for the Bears, so that family members can experience hugging them. Hugging their Bear will relieve the sorrow and loss. This is especially good for the spouse and/or children in the family. It has been a good fortune to be able to offer this to our families in their time of need. …another service that’s hands-on and heartfelt. Checkout other services and programs here. Have questions call the office or send a contact form.